250 pages | 159 B/W Illus. The book’s organization consists of an introductory chapter, and a second chapter providing some of the background to basic ecological topics as they are relevant to agroecosystrems (e.g., soil biology and pest control). 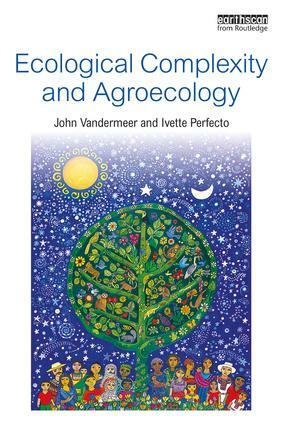 The core of the book consists of seven chapters on key intersecting themes of ecological complexity, including issues such as spatial patterns, network theory and tipping points, illustrated by examples from agroecology and agricultural systems from around the world. John Vandermeer is Asa Gray Distinguished University Professor of Ecology and Evolutionary Biology, University of Michigan, USA. Ivette Perfecto is George W. Pack Professor of Natural Resources and Environment, University of Michigan, USA.